Keisuke Honda was Japan's hero once again as he rescued a 2-2 draw with Senegal as the two teams remained joint-top of World Cup Group H.
In a game of goalkeeping errors, Senegal took an early lead when Eiji Kawashima turned Youssouf Sabaly's shot into the body of Sadio Mane for a goal he knew little about after 11 minutes. Senegal had the better of the first half, and Japan offered little until Takashi Inui's curler beat Khadim Ndiaye 34 minutes in. The Asian side would go onto enjoy their best spell of the game just after half-time, but it was cut short when Moussa Wague fired Sabaly's low cross high into the net from a tight angle (71). Honda, Japan's record World Cup goalscorer, would have the final word, netting from close range (78) after goalkeeper Ndiaye had missed a cross completely, for his fourth goal in a World Cup finals. 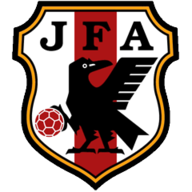 Home Team: Kawashima (5), Sakai (6), Yoshida (7), Shoji (6), Nagatomo (6), Haraguchi (6), Hasebe (6), Kagawa (5), Shibasaki (6), Inui (8), Osako (6). Away Team: K Ndiaye (5), Wague (6), Koulibaly (7), Sane (6), Kabaly (7), P Ndiaye (6), B Ndiaye (7), Gueye (6), Sarr (6), Niang (7), Mane (6). Man of the match: Takashi Inui. 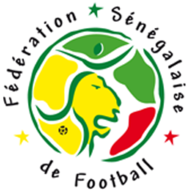 With a win all-but securing a rare last-16 appearance for either of the sides, it was Senegal who flew out of the blocks in Ekaterinberg, and Mane was denied an opening goal inside two minutes when Hiroki Sakai's slide-tackle robbed him 12 yards out. Mane was handed his first goal of the tournament with a big slice of luck soon after, though, when Sabaly picked up the pieces from Wague's cross, firing goalwards before Kawashima turned the ball into the Liverpool forward, who inadvertently touched it over the line. After that, Senegal continued to control proceedings in the opening half-hour, but when Japan found their confidence, a goal soon followed. Japan were unchanged from the side that beat Colombia. But Senegal manager Aliou Cisse did make one alteration despite defeating Poland 2-1 in their opening game, with Mame Diouf replaced by Stoke team-mate Badou Ndiaye in a 4-3-3. Yuto Nagatomo was spotted over the top and when the Senegal defence caught up with him on the left, Inui took over and bent the ball on his favoured right foot inside the far post. After half-time, Japan continued improving, and should have found themselves in front. Yuya Osako somehow failed to connect with Gaku Shibasaki's cross eight yards out, and Inui struck the bar with a wonderful effort from wide on the left. But it was at that point where Senegal looked to have broken Japan's hearts, as Wague's well-placed finish put the African side back in front. A point for either side in their final game will be enough to see them through to the last-16. Defeat would not necessarily be fatal but would bring bring goal difference, goals scored or the dreaded fair-play points into play, if they are to qualify. That lead would only last for eight minutes, though, with Japan refusing to crumble - and Honda fired in Inui's cut-back after Ndiaye had got himself in a real mess from a cross. Japan continued to press in the closing stages but were forced to settle for a point, leaving Group H still finely poised at the top.. Following this result, Senegal remain unbeaten against Japan in all four meetings (W2 D2 L0). Japan have won four points from their opening two group stage games at the 2018 World Cup (W1 D1 L0), equalling their best tally after two matches of a World Cup finals - they also won four points as hosts in 2002. Keisuke Honda scored in his third different World Cup finals tournament for Japan (2010, 2014, 2018) - he is the first Japanese player to do this. Keisuke Honda's goal was his 37th for Japan, tying him level with Hiromi Hara as the 4th highest goalscorer for their national team - only Kunishige Kamamoto, Kazuyoshi Miura and Shinji Okazaki have more. Takashi Inui has scored three goals in his last three games for Japan, this after scoring just two in his previous 26 matches for this national team. His goal in this game versus Senegal was Takashi Inui's first competitive goal for Japan, after his previous four all came in friendly matches. Senegal haven't lost any of the 15 international matches that Sadio Mané has scored in for them (W9 D6 L0). Sadio Mane's 15 goals for Senegal have come against 14 different teams (only scored twice against Burundi). In fact, Japan are the first non-African side that the Senegal forward has scored against for his national team. Senegal's Moussa Wagué (19y 263d) became only the second teenager to score at the 2018 World Cup, after France's Kylian Mbappe. Eibar winger Inui was brilliant for Japan and perhaps unlucky not to get a second goal on the night, but grabbing one, plus an assist for the second, was a fine return from a committed performance. He lost the ball less than any of Japan's starters, only eight times, and only Gen Shoji (82.6 per cent) had a higher rate of pass completion in the Senegal half (82.4 per cent). Not always in the game, attempting only 26 passes in 87 minutes, his contribution was nonetheless vital to the result, and when he did have the ball, he generally came up with something.